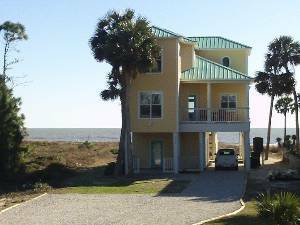 Gorgeous Gulf Front Home**Awesome Views!! This home has been totally redone and is now even more beautiful than when it was brand new!! 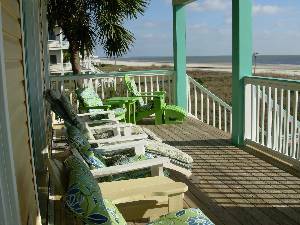 Pet friendly and sits right on the pristine Gulf beach in a low density area of Cape San Blas. 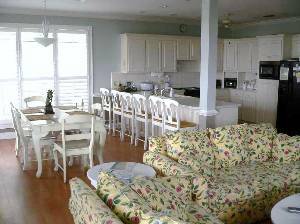 The home features its own private boardwalk to the beach and features fabulous Gulf views from most rooms and the upper and lower covered decks, a whirlpool tub in the master, and an outdoor hot tub and barbecue grill. It features many modern amenities including fast speed internet and cable TV.Please ask us for all the new pictures.In addition to this house we have a 5 bedroom beach house with a private pool, you won't find it listed but please ask about it.Both homes have white sandy beaches in either direction with expansive Gulfviews, spacious decks, and totally upscale furnishing and decor. 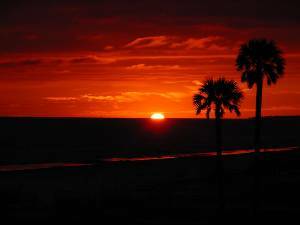 View of Two Palms from beach shore. 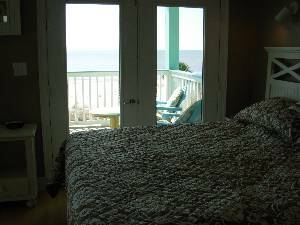 Hot Tub on Deck, Gas Grill and Charcoal Grill, Dog Gate, Outdoor Private Shower and Outdoor Pet/Human Shower. Gorgeous Views of the Gulf and Stars at night. Two Palms as seen from County Road C-30-A. 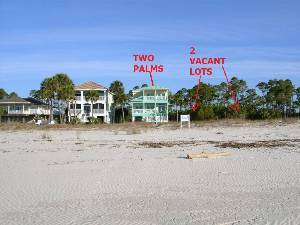 Spacious .80 acre directly on the Gulf of Mexico. 2 Vacant lots on East side of property. No other houses between Beach and the Road. . 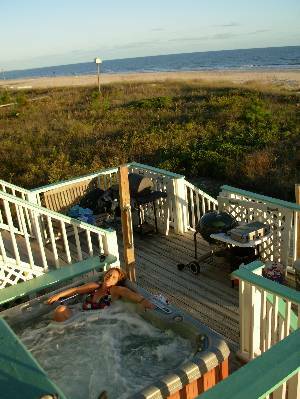 Hot Tub Right on Deck Facing Gulf. Gorgeous Vistas of Beach and Stars. We are currently offering specials for weeks we have left this Spring 30 % off additional fee for cleaning and Taxes. Extended stays are negotiable we are very flexible so call or email. 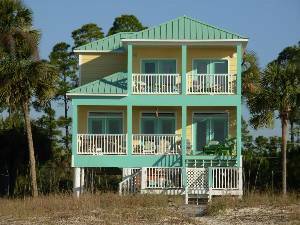 There are a few Spring Break weeks left due do a cancellation!! !